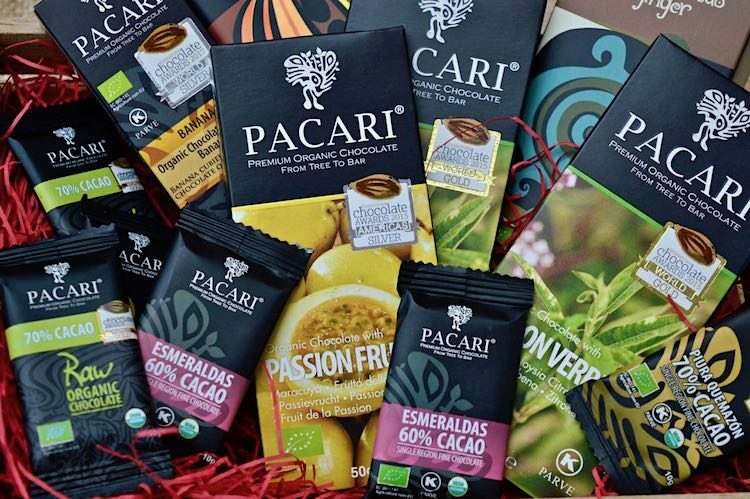 Pacari chocolate is a family owned premium organic chocolate brand. All of their products are vegan as well as innovative, ethical and delicious, so the perfect sweet treat for Veganuary. Read on to find out about this awesome chocolate along with some of the latest offerings. There’s also a chance for one lucky reader to win a chocolate bundle – one of each product featured here. Veganuary continues apace and I’m still loving it. What a surprise that’s been. I’ve discovered lots of good things and a few not-so-good things, but most of all I’ve been enjoying a wider variety of foods than I normally eat and that’s despite not partaking in any eggs or dairy. I’m trying to cut down on my sugar consumption and so far this Veganuary, I’ve been doing quite well. Pacari chocolate is rich and dark and I find a little goes a long way. One of their super cute 10g mini bars is enough to satisfy both my chocolate and sugar cravings. I’ve been allowing myself one sweet treat a day and when it’s not been a hot chocolate or a peanut butter banana muffin, it’s been one of these bars or a few squares from the bigger 50g bars. 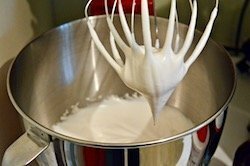 Yesterday, I had an epic aquafaba fail. I thought I’d be clever and make some macaroons with a piece of pacari chocolate stuffed in the middle. 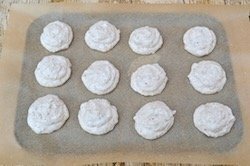 This is the third time I’ve tried to make aquafaba meringue and until my macaroons went into the oven, I thought I was onto a winner this time. But alas, my macaroons went as flat as a pancake, merged into one big mass and stuck to the paper so I couldn’t get them off. I baked the second batch at a much lower temperature, but they did exactly the same thing. The bits I could scrape off tasted fantastic, but I don’t think it’s a recipe I can include here on Tin and Thyme. Pacari chocolate is a firm favourite with us. Indeed, CT splashed out and bought me some coffee chocolate from them as a Veganuary treat. The fact that coffee chocolate is his favourite might have had something to do with it. As it happened I was also sent some of their chocolate to review last week. Happy days. You’ll find some of their latest products featured below and I have one of each to offer up to you lovely lot as a special Veganuary giveaway. Good luck. 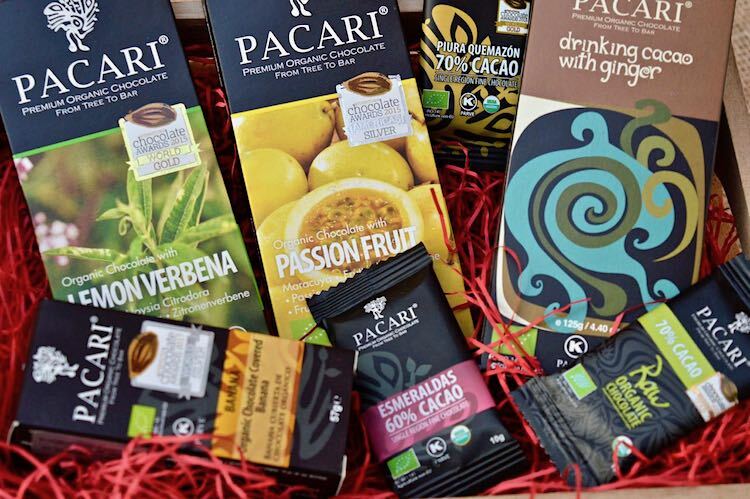 If you can’t wait, you can buy Pacari chocolate from their online shop. What makes Pacari chocolate so special? In Quechua, an Andean indigenous language, pacari means nature, which says a lot about this company and its ethos. It’s a premium organic chocolate brand based in Ecuador. The chocolate is also produced and packaged in Ecuador and it’s made from the cacao beans that are grown there. This makes it a rare tree to bar chocolate and it’s something I thoroughly approve of. 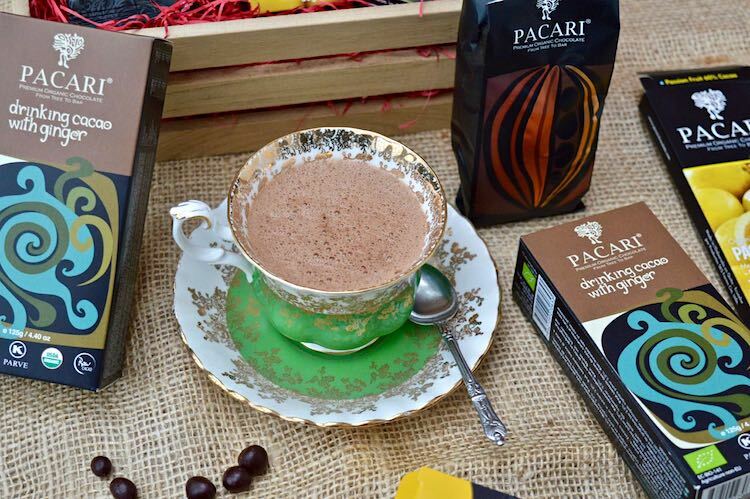 As well as being organic, all Pacari chocolate is vegan, kosher, gluten-free, soy-free, palm oil-free and is also ethically and sustainably produced. Wow! That’s pretty unusual in the chocolate world. So yes, this chocolate may seem expensive, but when you take all this into account, it’s very much worth it. Most Pacari chocolate is made from Arriba Naciona, which are some of the best cacao beans available. No surprise then that they’ve won numerous awards. Products are innovative and the flavours interesting. I’m in love with the packaging, especially the beautifully coloured and artistic cacao bean which is featured on the inside wrappers. I have written about Pacari and their chocolate bars extensively in my coffee chocolate chip cookies post. 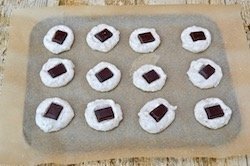 The cookies contain both their coffee and cardamom chocolates. If time is pressing and you don’t want to make my gingerbread syrup, Pacari’s ginger drinking chocolate is for you. Real Ecuadorian Pacari chocolate is ground into powder to ensure it melts into your milk in super fast time. It’s 100% cacao and the only addition is ground ginger. There’s no sugar at all. I’m really happy with this as I’m cutting back on my sugar intake and find it perfectly delicious without any sweetener. You can, of course, add sugar or your preferred sweetener to taste. You can also use the cacao powder to great effect in baking. Once I started eating these organic chocolate covered banana pieces, there was no stopping me. They are totally scrumptious. Just as well they come in small 57g packs or I would have eaten far more than is good for me. It won a silver in last year’s Chocolate Awards. All Pacari’s flavoured chocolate bars are made with 60% cacao content. They are sweet enough without being sickly and the rich chocolate notes support the array of interesting flavours. I’ve often found that passionfruit chocolate can be over played. It’s a flavour which I love and it makes the most fabulous passionfruit curd, but added to chocolates, it can taste very artificial. Of course, Pacari use the real fruit in their passion fruit chocolate bar and you can tell, it actually tastes of real passionfruit. It’s delicious and my new favourite flavour. The lemon verbena bar also tastes amazing. I adore lemon verbena. It has the scent and flavour of lemon sherbet. Lemon verbena is a plant native to South America. We’ve tried to grow it on a number of occasions, but we’ve never managed to get it through the winter. Maybe it was homesick. Now we have a conservatory, we’ll try again. Meanwhile, I’m very happy eating this Pacari chocolate bar where the lemon verbena grew just where it should. I’m totally in love with Pacari’s super cute mini chocolate bars. They only weigh 10g, but it’s enough chocolate to savour and satisfy in one sitting. This bundle consists of a 70% cacao raw chocolate bar, a 70% cacao single region bar (Piura Quemazón) and a 60% cacao single region bar (Esmeraldas). The Piura Quemazón is a limited edition chocolate made from an extremely rare bean from Piura in Peru. It’s a real treat for a chocolate connoisseur and needs to be savoured. It’s even won gold at the Chocolate Awards. The Esmeraldas bar has fruity and floral notes which make it ideal for those new to dark chocolate. It won bronze at the Chocolate Awards. Pacari offer a range of raw chocolate bars. They were the first raw chocolates in the world to get biodynamic certification. I’ve tried a lot of raw chocolate in my time and this is one of the best. It has a really good snap to it and a similar mouth feel to standard chocolate. It also tastes very nice. To celebrate Veganuary, Pacari Chocolate is offering one Tin and Thyme reader a chocolate bundle worth nearly £20. 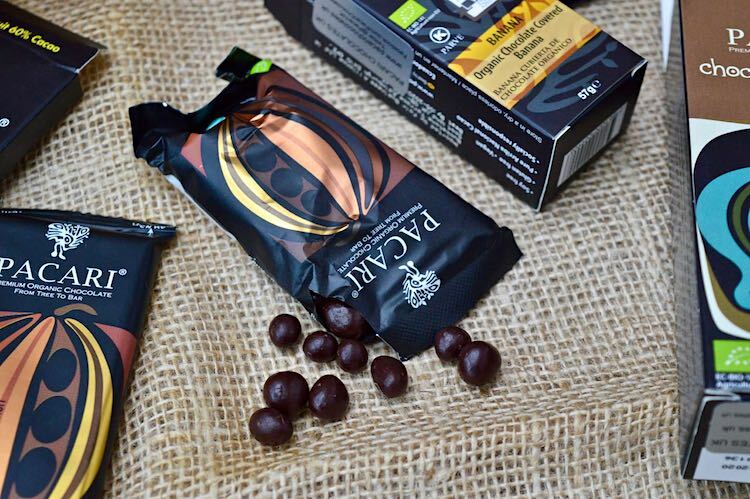 It consists of the following: 125g pack of drinking cacao with ginger, a 57g pack of chocolate covered bananas, two 50g bars (passionfruit and lemon verbena) and three 10g bars (70% Piura Quemaźon, 60% Esmeraldas & 70% raw chocolate). To be in with a chance of winning, please fill in the Gleam widget below. You will need to leave a comment on this post, answering the question, which then gives you additional chances to enter if you so wish. Gleam will pick a winner at random from the entries received. If you are commenting anonymously, please give me some way of identifying you as I will be verifying the validity of entries. Any automated entries will be disqualified. This giveaway is only open to those with a UK postal address. Winners will need to respond within 5 days of being contacted. Failure to do this may result in another winner being picked. Prizes are offered and provided by Pacari Chocolate and Tin and Thyme accepts no responsibility for the acts or defaults of said third party. Tin and Thyme reserves the right to cancel or amend the giveaway and these terms and conditions without notice. I was sent some Pacari chocolate products to try. I was not expected to write a positive review and all opinions are, as always, my own. Thanks to my readers for supporting the brands and organisations that help to keep Tin and Thyme blithe and blogging. I love the sound of all the different flavours and I love that it is organic. The flavours are really unusual, which makes them particularly exciting for me. You can find them on their online shop. I love that it is organic and vegan, and has some interesting flavours, I have never heard of passion fruit chocolate before but it sounds delicous! I am interested in trying the organic Pacari Chocolates. Fair trade , non gmo and organic. 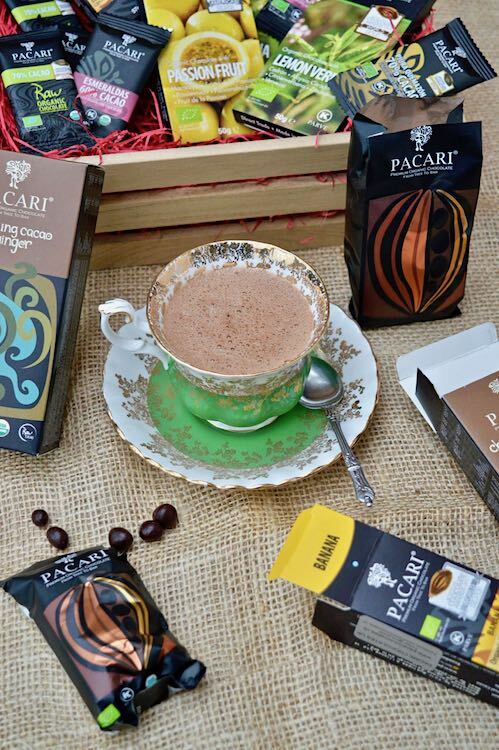 Pacari has less sugar so it is better for you and some fantastic flavours to try. They’re vegan, organic, gluten free and palm oil free, which is good for the planet they also sound incredibly tasty, and from what you say, a little goes a long way, which is good for those of us who are watching our weight! Watching weight is such a bore, but sometimes it just has to be done. I love the sound of the passion fruit and lemon verbena bars. Everything else sounds really tasty too! They have lots of really interesting flavours, but passion fruit is my favourite of the moment. I adore chocolate but need to cut down on my sugar intake. I am bored of the usual overly sweet flavours you often get in milk chocolate but plain chocolate doesn’t seem to have many good flavours that can work with the bitterness and richness e.g. I love rose flavour but when paired with dark chocolate it seems to get lost. I’d also be interested in the small bars as realistically I only “need” a little bit of chocolate to satisfy the craving but faced with a larger bar I find it hard not to keep going back for just a bit more or breaking off a larger piece so I don’t have to go back to the fridge when I want more! These are real good quality dark chocolates form 60% caca to 100% all made in Ecuador so much more wealth will remain in Ecuador. Hi Honey. I’ve found the flavours of these bars stand up to the chocolate, without the chocolate losing it’s unique chocolatiness. would be interested to see what it tasted like as have been unimpressed by some big fancy brands with how bland some of them are. It sounds unique amongst the many! So many interesting flavours and so many lovely ideas to try ! I have never ever tried vegan chocolate before and curiosity is getting the better of me. Vegan chocolate is just dark chocolate with no danger of dairy cross contamination that you get with lots of other dark chocolate brands. But this chocolate is extra special. Organic and vegan do it for me and passionfruit does it, also. Lovely packaging. I want to reduce my sugar intake, but I don’t want to give up on chocolate. This may be a viable alternative. I am taking part in Veganuary this month, love try their chocolates as i haven’t tried it before! Well done Naila and good luck with the giveaway. How are you finding Veganuary? you can give your sugar craving a hit without having a lot! I’d love to try because the flavours sound delicious! I have never tried this and it sounds lovely would love to try it. I love the complexities you get in single estate chocolates. I think we may be some of the final generations to enjoy such treasures as these. Oh no! Don’t say that Cat. There was me thinking we’re at the beginnings of discovering and appreciating good chocolate. I’m mainly interested in the unusual variety of different flavours that are on offer. it says i entered but i didn’t write anything other than my contact details! where do i put my 10 words? Hi Melanie. You just need to write your answer here in the comments. The flavours are so different and unique that it would be a real treat to try them as they are special and i’m a big chocoholic. The flavours are really unusual and they’re real too. They have a great range of flavours and it is organic. The drinking chocolate sounds great. The drinking chocolate is fab – my kind of drink. Wish I could try some now! It’s well worth trying if you can get hold of some Angie. I would like to try it because it has less sugar and is ethically produced. I’ve tried Pacari chocolate once ages ago and it was lovely. Would love the chance to try some more! the most exciting range of chocolate products i have ever seen, i would be delighted to receive such a present, i may even share some with my husband! especially as i have seen your post on paring with whisky which is right up his street. I’m not eligible to enter your giveaway, just commenting. I have been a convert to ‘bean to bar’ chocolate for some time now. I don’t think you could eat more than a couple of squares at a time, it is so satisfying. I use 100% cacao when I make Brownies (your recipe as well) because they are so sweet anyway that you don’t need the extra sugar that ‘off the shelf’ chocolate would add. You are offering some lovely chocolate in your pack – those lovely flavours – to whoever is the lucky winner. It will change their chocolate eating habits forever. I’m more discerning about the chocolate that I eat now and my husband tells me I’ve turned into a bit of a ‘chocolate snob’!! :). Oh dear!! It’s just brilliant that we can get 100% cacao now. It was pretty much unheard of a few years ago. So glad you like the brownie recipe. Which one is it? I bet I didn’t use 100% cacao. But brownies are so sweet anyway, it sounds like the way to go. I have never tried their chocolate before, and I am always willing to try different brands. I would like to try the chocolates as I think they are all cleverly flavoured and not the norm. The passionfruit and verbana sounds lush and that would be the first one that I devoured. It sounds delicious and the flavours sound amazing! I love the sound of the ginger drinking chocolate. Hot chocolate has to be really good for me to enjoy it and this sounds perfect! The nice thing about this one, apart from the flavour and ethics, is that you can have it just as it is, or add as much or as little of your preferred sweetener as you like. Well done Melissa. it’s really hard to keep track of the food we eat, but every little helps. I have tried one of their flavours before (a free sample), but would love to try more! The flavours are unusual but sound nice. The flavours are unusual but sound nice and I would like to try them especially Passion fruit. The flavours are unusual but you make them sound delicious. I’ve never seen or hear of passion fruit or lemon verbena chocolate bars. I like that they are ethically sourced and the flavours sound really tempting to try. Amazing sounding chocolates – fabulous flavours and all Vegan approved and ethically sourced. What’s not to love?! I’d like to try them because the flavours sound amazing and they are low sugar, air trade , non gmo and organic. I turned vegan last year, so I’m always looking for new things to try and this chocolate sounds really good, I like the sound of the passionfruit bar. The flavours sound really nice and the chocolate sounds like it is of a good quality. Their flavours is really unique. I would like to try them .I have never tried it. I would love to try the chocolate as it sounds amazing so i bet it tastes amazing too! Flavours sound amazing and unbelievably …. organic too! Can’t wait to try! I would like to try them for their unusual flavours, particularly the passionfruit. I love chocolate, but the use of palm oil in Cadbury’s and other big brands is something I feel strongly about. I have made a resolution that from now on I will only eat organic palm oil-free chocolate produced in an ethical manner. I am all about trying different flavours and this brand sounds as though it would fulfil that perfectly! I have been lucky enough to have tried Pacari in South America and am delighted to find out that I can buy it and scoff it here at home. I can vouch for ALL the flavours. It’s just wonderful. Tasting the real thing in the real place has to be one of the best things. How wonderful. I think it’s the interesting flavours – I would more like this for my husband, he really loves his chocolate! Always love to try new chocolate brands and ones that are ethical and care about the environment are even better. Chocolate and banana – just the most perfect pairing. Really love how they are ethically sourced with Less sugar & being organic, the flavourings sound wonderful. It’s so hard to get quality great tasting chocolate these days. I love that it is vegan, I cant have milk but I love chocolate and so much chocolate contains it, so I love a good alternative! The unique and querky flavours. They just look so different so intrigued to see what they taste like. It’s great to have a vegan range with adult flavours. I rarely buy chocolate from the supermarket because I hate scouring the ingredients for animal products, squinting at tiny writing (my eyes aren’t what they were!). It’s surprising how often honey or milk products are added. The story behind this chocolate and the way it’s made is very appealing in that I can enjoy a small amount of chocolate and feel good about it. I would like to try it because the flavours sound amazing – and it is organic, vegan and glutenfree which is perfect for all our family. Pacari has less sugar so it is better for my diet. I love the sound of the flavours – unusual and very different! The interesting flavours make me want to try this chocolate. They’re vegan, organic, gluten free and palm oil free. Their varieties! It’s just about unheard of to see anything like the Chocolate Covered Banana that’s from such a high quality company, and some of their “normal” chocolate flavours are so different too. My mouth is watering! Not only organic and vegan but such a great variety of flavours to choose from. I’m a vegan-leaning vegetarian, but the thing that really grabs me is the unusual flavours. The unusual flavours sound so interesting and the small pack sizes mean I wouldn’t feel guilty about eating the whole bar. We often have chocolate with whisky so this sounds ideal. Always great to find something tasty that won’t break the calorie bank! The passion fruit and lemon verbena bars sound really good! Flavours you might see mixed on GBBO! I like the fact that it is organically produced and the cocoa content is high but the sugar is low making it real chocolate rather than the artificial products we normally see in the shops these days. I’d love to try the gorgeous flavours as I’m gluten free and it would be so good to know these little treats weren’t going to do me any harm! Wow this is lovely! Looks fab and delicious! Fingers crossed! The fact that they are so ethical. Guilt-free chocolate sounds good to me. I really love the sound of some of those flavours! Mmmm! Would love the chance to try them. I’d love to try them because I’m vegan and love chocolate! I love the unusual flavours – love decent chocolate as then I don’t feel as guilty having a few squares, which I’d prefer to eat than more squares of a cheaper chocolate. I’m trying to cut down on sugar so would like to try some of these. Also, chocolate triggers my migraines so I would like to see if it’s any different with these. The unusual flavours sound really intriging, lemon verbena as an example. ALso the fact that it’s proper drinking chocolate ie solid, not powdered sugar. Always looking for new vegan chocolate and these flavours sound delicious and love that they are organic as well. Partially want to try the passion fruit and lemon verbena bars. i like the ethos of Pacari chocolate. The flavour combinations are really intresting too and id love to try them. Love the fact that these are 60% cacao and organic and come in so many lovely flavours. I love a high quality dark chocolate. The fruity flavours are intriguing! It’s organic and vegan which is appealing I’m also on a weight loss plan and can have some chocolate .I lost 3 stone last year and had a little . Going for the last half stone now. Good luck Sandra. I lost ½ stone in January, but still ate a bit of chocolate most days. This chocolate sounds good, I like that it is organic & has less sugar. I get a sugar crave in the evenings so it is great that there are small packets so you don’t end up eating the whole bar. The flavours are different from normal too .. This is a new brand for me which I look forward to try. I have had a look on the Pacari website and I like the fact the small scale farmers are fairly compensated for their products. plant power, strong ethics and a fab range of flavours! Their chocolates look and sound delicious, I am interested in trying out new companies and especially vegan foods! oh wow these look soooo goooood!!! Ethically sourced, organic, amazing flavours…what else could a chocolate lover ask for! I haven’t tried this brand yet, so am interested to see how they compare to other similar products on the market. Well I would love to try it because it’s vegan of course. It is a brand i’ve never tried and has won awards, so must be good! I’ve never tried this product before and would love to. I like the fact it is ethically sourced. Being ethically sourced is a huge bonus for me, as I’m making the effort to buy more based on fair trade and environmental principles. It’d be great to try, to see if it’s something I’d consider adding to my permanent shopping list. The fact that they’re vegan (I’m one!) and have a range of really interesting, different flavours. The flavours are so different and varied, the fact they have less sugar…it’s a win win chocolate hit…awesome! I’ve never tried this brand before but the flavours look varied and very tasty! These chocolates look fab and all the better for being vegan – lovely! Having been told I’m border-line diabetic and need to tweak my diet, this would be a great way to get a chocolate hit. it looks gorgeous, the packaging, the ethical sourcing i’m sure the taste would match up! It sounds like a really special treat and some of the flavours are different from normal. Never heard of this brand before so would be lovely to win this prize. I’m a big lover of high percentage chocolate and looking at ways I can cut down my sugar/dairy intake so this chocolate seems perfect! All flavours are so tempting , Really want to try the drinking chocolate with ginger and the chocolate bananas. I love the unusual sounding flavours. I’m a big fan of darker chocolate, but you tend to be limited on the different flavours if you opt for a higher cocoa content. wow this chocolate looks so yummy would love to try it! My wide adores anything chocolate, but especially likes new and different chocolate flavours. would love to try because they are vegan & gluten free so would suit my diet, also love the interesting flavours- fingers crossed! They’re vegan which is a great thing but the flavours are so lovely. Passion fruit and lemon verbena. What a treat. I like that it’s organic, palm oil free and a high cocoa content! The flavours sound delicious as well!! The flavours sound mouth-watering. Also being organic means a lot to me. A caring company. All the products sound delicious, just the sort of thing I would love to try…and keep on buying. I’m intrigued by Pacari’s vegan chocolate! As I’m trying to avoid dairy, I’d be keen to give this a try. And it’s sustainably produced. Sounds like guilt free indulgence to me! These look amazing, I am yet to find A vegan chocolate that I like, these flavours look so interesting and different. I love chocolate and this has got such a cool name plus it’s ethically sourced why wouldn’t I want to try it? I love chocolate and this has got such a cool name plus it’s ethically sourced and organic why on earth wouldn’t I want to try it? Its sweet tasting, exotic flavours transport me to a world of foodie escapism and decadence! The fact that they are family owned is the main reason as well as being organic. I am intrigued to try the different flavours in good quality chocolate. The fact that Pacari is family owned as well as the chocolate being organic. I love the different flavours as I always enjoy trying something new! It’s the really interesting flavours that really appeal to me. I’d love to try these. The Passion Fruit sound nice never had this chocolate before or this flavour but sounds nice to me would love to try it. The quality natural ingredients make these pure luxury !